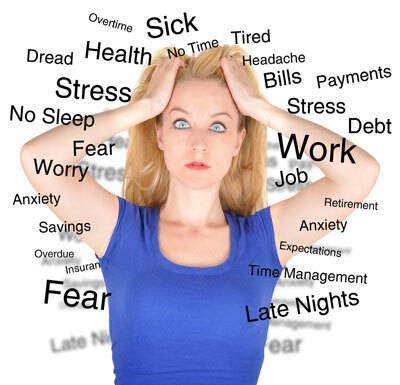 Acupuncture is recognized as a very effective means of treating anxiety. It is becoming a preferred “alternative method” as conventional methods do not work very effectively and/or have very harmful side effects. Dr. Liang of the Fifth Avenue Acupuncture & Herbs Center has been effectively using acupuncture and Chinese herbs for the last two decades to treat people in New York City who are suffering from from this condition. Let’s define what this disorder is and how it is being conventionally treated. Anxiety disorder is not a disease or illness. It is a psychological and physiological state indicated by excessive and exaggerated worry. If those worries become persistent without obvious reason, it will affect your daily life and disturb your mind and body’s normal functions. Symptoms may include panic attacks, restlessness, feeling tense or angry, obsessive compulsive disorder (ocd), irritability, impatience, and poor concentration. People may also experience physical symptoms such as headaches, jaw pain, muscle tension in the upper back , neck and shoulder area, difficulty falling or staying asleep (insomnia), fatigue, chest tightness, indigestion, bloating, and excessive sweating. Some people may also experience frequent leg cramps or facial muscle spasms or trembling. These drugs can be very effective for temporary relief. However, there are unwanted side effects that can be so severe, that many people look for alternative methods such as acupuncture to treat their condition. As the body metabolizes benzodiazepines slowly, these medications can build up over longer periods of time in the body and result in over-sedation. This makes people appear as if they are drunk. These drugs can also have a very negative impact on the liver. For this reason, acupuncture alone may not be the only treatment. Dr. Liang may prescribe Chinese herbs to detoxify the liver and restore it to a healthier state. Acupuncture is a great option for treating this condition as there are neither short-term nor long-term side-effects..
Acupuncture and Chinese herbs can be an effective treatment. For severe cases, acupuncture and Chinese herbal medicine can be used safely in junction with conventional treatments such as psychotherapy and medications. Dr. Feng Liang has treated countless patients in the past two decades in her practice in New York City. Anxiety is one of the most common reasons patients come for acupuncture treatment and the result is very promising. In addition to Dr. Liang’s treatment, she will also guide patients how to manage their condition through the lifestyle changes including how to train the brain to the way of right thinking, exercise and diet. One of the most common questions asked by patients is ‘How will they feel after their first acupuncture treatment”. The answer is that you will feel much happier after just your first treatment and walk out of our offices feeling a sense of well being. This does not mean that one acupuncture treatment will cure your condition. It simply means that with each treatment, you will be well on your way to feeling significantly better. If you are experiencing any of the symptoms we mentioned above, please do not wait. Call Dr. Feng Liang at (212) 779-0468. Remember, anxiety disorder can be reversed!